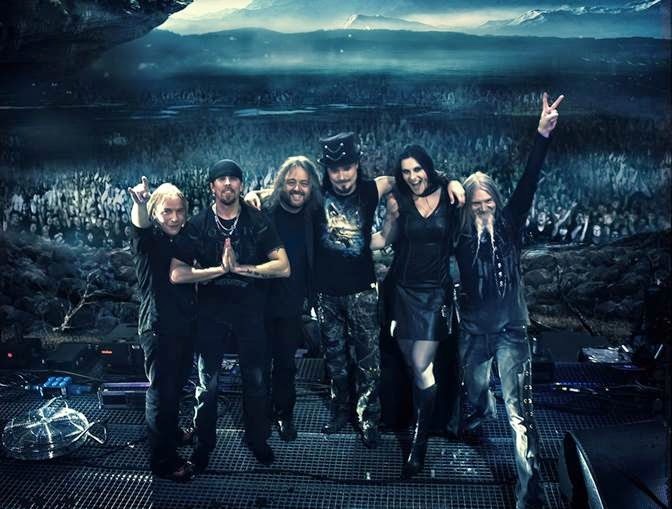 Finland-based symphonic metal storytellers NIGHTWISH are pleased to announce their 27-date headlining tour of North America for 2015, launching in New York City on April 9th, hitting three Canadian cities plus Chicago, San Francisco, and Los Angeles, then closing out in Silver Springs, Maryland on May 14th. Opening will be Dutch symphonic metallers DELAIN. NIGHTWISH members are currently working on new song demos with producer Tero “TeeCee” Kinnumen in the wilderness of Hattula, Finland.